My Impressions: Simon Says Stamp January 2016 Card Kit, GIVEAWAY, and You Have My Heart Release! Simon Says Stamp January 2016 Card Kit, GIVEAWAY, and You Have My Heart Release! I'm stopping by today to share a card made using the latest Simon Says Stamp Card Kit (for January 2016) called Flurries of Love. This month's kit is adorable! The blue, purple, aqua colour combination is fun and fresh! I'm loving the sweet Doodlebug Polar Pals Papers and stickers and Simon's new Cute Snowflakes Stamp Set is so "cute"! In addition, the kit comes with some yummy Doodlebug Lily White Glitter Sprinkles, Darice Silver Glitter Tape, and Iridescent Snowflakes. I used my Misti Stamping Tool and a couple of the snowflakes from Simon's Cute Snowflakes Stamp Set to to create the patterned background and coloured it in with Copic Markers. I used a strip of Darice Silver Glitter Tape between my stamped panel and some Doodlebug Polar Pals Paper at the bottom of the card as well as behind my sentiment strip. A few Doodlebug Lily White Glitter Sprinkles were used in the centers of the the smaller snowflakes. 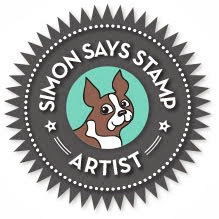 If you're interested, you can pick up the Simon Says Stamp January 2016 Card Kit for just $29.95 + shipping. If you'd like to receive this kit and future kits for only $24.95 + shipping per month, you can SUBSCRIBE HERE. Heidi, owner of Simon Says Stamp, has given me an extra January Card Kit to pass on to one of you! Just leave a comment on any or all of my January Card Kit posts and I'll announce a winner Monday December 28th. Before I go, I just had to share that Simon Says Stamp has just come out with their Valentine's release called You Have My Heart and it is FABULOUS! I definitely have some new favourites! I love what you did withthat stamp... the colors everything! What a fabulous pattern you've created. I love this! Mayer Christmas to you, Sarah. Wow, fabulous design Sarah! I thought it was patterned paper at first! I love your creative use of this kit, Sarah! Thanks for the chance to win. 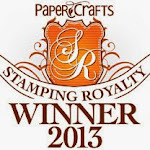 LOVE your stamping, Sarah!! It is absolutely gorgeous! I just love what you did with the snowflake patterns and the colors you used...a great winter card! Thanks for the inspiration! Gorgeous card! Love that patterned background! Ohhh, that is so beautiful! I love the color combo. This looks like a fabulous kit. That MISTI tool is great! And I love this card...LOVE the colors in this kit! Such pretty colors!! LOVE this kit!! Wow. What a beautiful card. I had to look at it for a few minites to tell what stamp you used. It does remind me of all the coloring books! Love the colors. This kit is gorgeous! I'd love to win it! Your card is lovely! love this kit! and love your card! I love the way you used that stamp for your background, it's beautiful. What a beautiful pattern you created with the stamp. Gorgeous. Thanks for sharing. Flurries of Thanks to You, Sarah, for your fun cards this year with these fabulous kits! Love the pattern you created! Paulette S.
love the graphic snowflakes and the little bit of sparkle under the sentiment. Oh What a lovely winter theme card! So love your background! Thank you for sharing it :) MERRY CHRISTMAS! Such pretty stamping, love the gorgeous design!!! What a fun way to use that snowflake stamp as a background design. You're right about it looking like one of the grown up coloring book designs that I've been seeing. Love the blue and purple colors in this kit! I can't wait to try this Stamp set for a background like you did! What a great idea! Whoa! Such a beautiful card and creative design. Such a pretty colorful card. Happy Holidays to you and your family. Love this so much and immediately thought on an adult colouring book I have when I saw this card!! Love the background you created with the snowflakes and the colours are so pretty. This kit is amazing!!! !